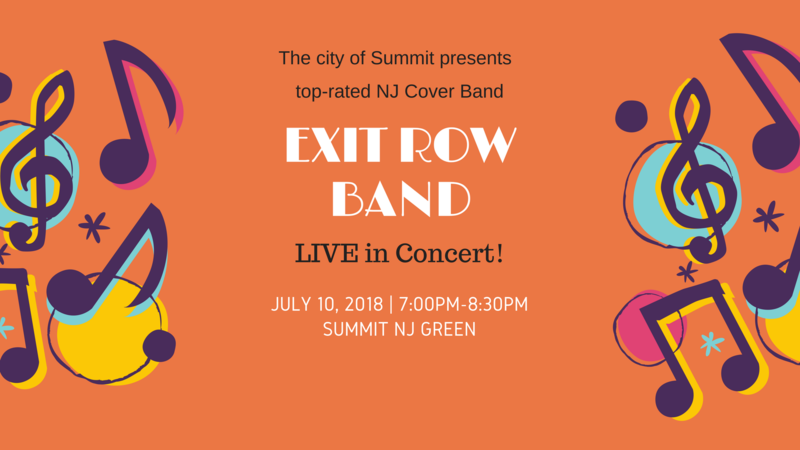 On Tuesday July 10, New Jersey’s favorite private event band Exit Row Band will give a special FREE concert on the Village Green in Summit from 7:00pm-8:30pm. This is a rare chance to attend a public performance of a band who’s members have done over 1,000 events across the world! It’s going to be a fun evening of your favorite music, including classic rock, top 40, oldies, new country, and more!